Pyrnassius and I manage to cover two weeks in 3 hours! You can find a 2.5 hour pre-show with The RRman at Patreon.com/Runescape & on April 1st (no joke) don't forget to check out all the free new preshows that drop! Sorry for posting this show late, real life duties! 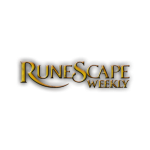 Help make the show a priority at patreon.com/runescape. We discuss The Comp Cape Rework and Gem Rock "Tweaks" and More! Back for a double show this week and we still manage to smash it out of the park with a super fun show! March month ahead plus "Rantaganza!" Magebit, Pyrnassius and Bladecom talk Runescape and other stuff while talking to chat! Get that XP! We do a make-up for last week and cover two updates as well as the Ninja Highlight stream! Plus much more. Magebit and Pyrnassius chat about the Stone Spirit buff as well as the upcoming farmhand additions. A last minute BTS February is caught thanks to Rubic!